Two years before s.121 or any similar provision was drafted, George Brown stated in the Legislative Assembly that under the Quebec Resolutions "our farmers and manufacturers and mechanics shall carry their wares unquestioned into every village of the Maritime provinces." The New Brunswick Court of Appeal will hear the Crown’s appeal in R. v. Comeau this coming month. The issue for appeal is whether Justice LeBlanc of the New Brunswick Provincial Court got it right in finding that s.121 of the Constitution Act, 1867 prohibits both tariff and non-tariff barriers between the provinces, overturning the Supreme Court of Canada’s precedent in Gold Seal Ltd. v. Alberta in the process. By way of background, Comeau concerned s.134(b) of New Brunswick’s Liquor Control Act, which, inter alia, prohibits the possession of alcohol beyond a certain amount unless it was purchased from the New Brunswick Liquor Corporation. Mr. Comeau was charged under the provision after he purchased alcohol in Quebec in excess of the regulatory threshold and subsequently brought the alcohol back across the border into New Brunswick. Comeau successfully argued that s.134(b) was an unconstitutional violation s.121 of the Constitution Act, which states that “all Articles of the Growth, Produce, or Manufacture of any one of the Provinces shall, from and after the Union, be admitted free into each of the other Provinces”[Emphasis Added]. The court held that s.121 does not merely prohibit interprovincial custom duties from being levied; it also provides robust protections against all barriers to trade. The decision has already generated some thought provoking commentary. Mark Mancini has provided an excellent summary and assessment of the decision on Advocates for the Rule of Law, which balances the various interpretive factors and argues that Justice LeBlanc’s interpretation of s.121 was correct. More recently, Malcolm Lavoie of the University of Alberta’s Faculty of Law has published a piece on SSRN (soon to be published in the Dalhousie Law Journal), agreeing with Justice LeBlanc’s interpretation of s.121, but arguing that His Honour’s decision left some important questions unanswered – namely whether any barriers to trade are permissible under s.121. Professor Lavoie offers a proposed framework for interpreting s.121, which seeks to balance a robust free trade federation with the provincial authority to regulate property and civil rights in each province. Under Professor Lavoie’s proposed framework, a provincial law that discriminates against interprovincial trade either directly or indirectly should be struck down unless it is necessary for the operation of an otherwise valid provincial regulatory scheme. Where a measure merely has the effect of burdening trade, it should be upheld so long as it is rationally and functionally connected to the valid scheme. Professor Lavoie’s proposed formula would provide the courts with a way to affirm the substantive content of s.121 without opening the floodgates to overturn every single provincial law that affects trade. It also has the benefit of rendering the issue of whether Gold Seal should be overturned essentially moot. Lavoie acknowledges that s.91 of the Constitution Act, 1867 states that Parliament may legislate in relation to its enumerated powers “notwithstanding anything in this Act,” meaning that its authority to pass laws dealing with interprovincial trade and commerce is paramount to s.121. As such, s.121 only applies to the provincial legislatures, and thus Gold Seal need not be overturned since that decision concerned a federal statute. Building upon Professor Lavoie’s thesis, I argue in the following paper that s.121 should be interpreted as a reaffirmation or reiteration of Parliament’s exclusive power to regulate interprovincial trade and commerce under s.91(2). In other words, the interpretation of the two sections should be married and should be considered together as part of a traditional division of powers analysis. The paper is divided into three parts. In the first part, I argue that Comeau would have been decided the same way under a properly exclusivist approach to the division of powers. In the second part, I argue that Professor Lavoie’s proposal for s.121 is already similar to the traditional jurisprudence under s.91(2) and should be modified slightly so that the two analyses are fully married. In the third part, I argue that interpreting s.121 simply as a reaffirmation of s.91(2) rather than as a stand-alone provision accords with the drafting history of the Constitution Act, 1867, helps reconcile textual ambiguities in the Act, and will produce stable and coherent doctrine. At paragraph 162 of the Comeau decision, Justice LeBlanc states that “this is obviously not a ‘division of powers’ case.” Justice LeBlanc does not provide much of an explanation for why his assertion is “obvious,” but this would seem to be grounded in the fact that the impugned law “is directed at the possession of liquor wholly within the province. It specifically does not prohibit importation of liquor from outside the province.” This is admittedly what the Liquor Control Act says. However, it has long been the case that the Court must look beyond the plain wording of a statute to determine its true nature. Put succinctly, a province cannot regulate interprovincial trade under the guise of regulating property and civil rights in the province. 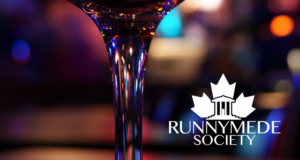 The Liquor Control Act broadly targets the “possession” of alcohol in the province. If the province had been concerned with maintaining a monopoly over the sale of alcohol, it could have simply regulated the “purchase and sale” of alcohol as opposed to the “possession.” Alcohol in one’s possession may have been purchased within the province, but it may also have come from another province or jurisdiction entirely. This fact was surely in the contemplation of the legislature at the time it passed the Act, since s.43(c) specifies the precise quantity of alcohol that may be purchased from a liquor commission in another province. Thus, on its face, the law seeks to ensure not only that the New Brunswick Liquor Corporation retains a monopoly, but that only limited sums of alcohol are imported from outside the province. There was no complaint filed with the RCMP which initiated the investigation; it was self-generated by the police force and was instigated as a crime-reduction initiative. The police were targeting people who had in excess of five cases of beer in their possession once they crossed the border. The operation involved surveillance by Québec RCMP of customers from New Brunswick at outlets selling liquor in Pointe-à-la-Croix or in Listuguj, following them in unmarked vehicles onto the bridge, radioing ahead to the local police force and providing them the licence plate number and description of the vehicle involved. The vehicle would then be stopped by members of the RCMP Campbellton Detachment and searched for the illegally possessed alcohol. The operation lasted two days. It is unknown how many tickets were issued for this type of infraction over the two-day span. Conversely, no evidence was led at trial that the police were also targeting bootleggers in the province or possession that otherwise did not concern the importation of alcohol from outside the province. In practice, the prohibition against possession was simply a prohibition against importation. To be sure, the trend in recent years has been toward a more “flexible” model of federalism that encourages overlap between the jurisdictions. This is, however, not what the Constitution says. The words “exclusive” or “exclusively” appear no less than eight times in Part VI (ss. 91 – 95) and they are buttressed by the non obstante clause (“notwithstanding anything in this Act”) in the preamble to s.91 and the “deeming” provision in the concluding paragraph to s.91. These terms all point to the same underlying legislative purpose: to create two mutually exclusive and limited spheres of jurisdictional authority (save and except for expressly concurrent powers). If the courts are to remain faithful to that exclusivity principle, then they must place constraints upon the already broad provincial power over property and civil rights. The importation of alcohol across provincial boundaries is clearly a “matter” that comes within Parliament’s power over trade and commerce, and since the law targets importation on its face, it should properly be struck down. In sum, without even considering s.121 of the Constitution Act, 1867, a properly exclusivist approach to the division of powers would conclude that the impugned provisions of the Liquor Control Act are ultra vires the province. Professor Lavoie’s proposal has a lot in common with the traditional framework for interpreting s.91(2). At the heart of each analysis is whether a provincial law is, on its face, a regulation of interprovincial trade. Professor Lavoie uses the term “discriminates” rather than “regulates,” but this is arguably a distinction without a difference since a province that regulates interprovincial trade will invariably discriminate against goods from other provinces. Professor Lavoie’s proposal is also very reminiscent of the ancillary powers doctrine that is employed in the division of powers analysis – a point that Lavoie acknowledges. Under Lavoie’s framework, if a provincial law discriminates against goods from other provinces, the law must be necessary for the achievement of a significant non-protectionist objective. On the other hand, if the law merely has the incidental effect of burdening trade, it should be upheld so long as there is a rational functional connection between the law and the non-protectionist objective. There is one difference between Professor’s Lavoie’s proposal and the ancillary powers doctrine developed in General Motors of Canada v. City National Leasing. Whereas Lavoie distinguishes between laws that discriminate against trade on their face versus those that only incidentally affect trade, the General Motors formula only deals with laws that, in pith and substance, come within the jurisdiction of the other order of government. Under a division of powers analysis, a law that only incidentally affects the enumerated power of the other order of government will be upheld at the pith and substance stage. By definition, the ancillary powers doctrine is only engaged when the impugned law in pith and substance comes within the other order’s jurisdiction. Once that has been established, the court must then assess whether the intrusion is “serious.” If so, then the law will only be upheld if it is necessarily incidental to the otherwise valid scheme. If the intrusion is not serious, it will be upheld so long as a rational functional connection is established. Thus, if we were to apply the modern ancillary powers doctrine to the interpretation of s.121, the courts would only look at laws that discriminate against trade on their face, either based on the law’s purpose or its legal effects. Laws that only incidentally affect interprovincial trade would be given a pass. Once a court has established that the law does in fact discriminate against trade on its face, the court would then assess the “seriousness” of the discrimination, applying either a strict necessity standard or a rational functional connection standard depending on the seriousness of the infringement. If this proposal seems problematic at first glance it is because the same can be said for the modern ancillary powers doctrine. Under the traditional approach, any law that came within the other order’s jurisdiction would only be upheld if it were necessarily incidental to a valid scheme. The addition of the “rational functional connection” component has proven to be neither rational nor functional. It is at odds with the exclusivity principle as it allows each order to invade the other’s jurisdiction with far more regularity. It also amounts to unworkable doctrine. A provision that is ultra vires arguably cannot be “seriously” or “mildly” ultra vires. It either is or it is not. And even if the seriousness of the infringement could be measured, it makes little sense that it could be rigidly categorized as either serious or unserious. The proof, as they say, is in the pudding. In the Assisted Human Reproduction Reference, the Supreme Court split 4-4 on the issue of which approach under the General Motors test was applicable. There was no dispute that several provisions of the statute were ultra vires, but the justices disagreed as to the severity of the intrusions, and therefore disagreed as to which standard was applicable. Predictably, the provisions would have been upheld under the rational functional standard and would have been struck down under the necessity standard. 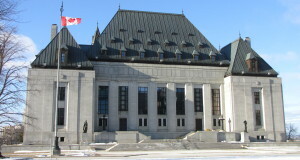 The Assisted Human Reproduction Act decision highlights the inherent subjectivity in determining the “seriousness” of an intrusion and the way in which the doctrine of ancillary powers has been muddied in the service of “co-operative federalism.” Professor Lavoie correctly notes that the courts must strive to ensure that the interpretation of s.121 does not become overly complex or foster uncertainty. In my view, this can only be accomplished if the Supreme Court reaffirms the traditional necessarily incidental test in the division of powers realm and applies that same test in the context of s.121. In sum, while I am generally in agreement with Professor Lavoie’s proposal for interpreting s.121, I would propose slightly modifying the proposal so as to bring it in line with the traditional interpretive approach under ss.91 & 92. A provincial law that regulates interprovincial trade on its face should be struck down unless it is necessarily incidental to an otherwise valid scheme. A law that only incidentally affects interprovincial trade does not amount to a real regulation of trade and should be upheld. In essence, I am proposing that s.121 be interpreted as a reaffirmation of Parliament’s exclusive authority under s.91(2), rather than as a stand-alone provision. In this section, I set out the case for why s.121 should be interpreted as a reaffirmation of s.91(2). As indicated at the outset, I will argue that this approach is supported by the drafting history, reconciles apparent textual ambiguities, and will foster stable and coherent doctrine. At paragraph 86 of His Honour’s decision, LeBlanc J. correctly notes that the drafters of the then BNA Act, 1867 “wanted the legislation to reflect the wishes of the Fathers of Confederation” as set out in the Quebec Resolutions they drafted during the 1864 Quebec Conference. The Act was the more “eloquent” and “refined” document, but it was meant to give effect to the principles that had been agreed to at Quebec and had subsequently been incorporated into the Resolutions. What LeBlanc J. does not discuss, however, is how s.121 could have reflected the Quebec Resolutions when no equivalent or even similar provision was included in the Resolutions. Indeed, the first iteration of what would eventually become s.121 was not introduced until the fourth draft of the Bill. It seems highly unlikely that the framers would have incorporated such a transformative provision so late in the process, unless of course the provision was merely meant to buttress that which had already been expressly mandated by the distribution of legislative powers. There can be no doubt that the Fathers of Confederation were proponents of free trade and LeBlanc J. devotes a fairly significant portion of his Reasons to statements made by Canadian statesmen leading up to the passage of the Act in March 1867. But the real value of these statements is not that the Fathers expressed a preference for free trade – though that is certainly evident – but rather that they understood that the Quebec Resolutions already protected free trade. The question must therefore be asked: if the Fathers’ shared understanding that the Quebec scheme guaranteed free trade was not based on s.121 or an equivalent provision, then where did it come from? A review of the Resolutions indicates that the term “trade” only appears twice – and the only potentially relevant mention is the federal “Trade and Commerce” power (the second deals with the development of the Great West). Thus, the Fathers’ belief that the Quebec scheme would ensure free trade must have been based on the distribution of legislative powers, and specifically the exclusive authority of the “General Government” (Parliament) over trade. What is more, the restriction of the provincial taxing power in the Quebec Resolutions (and then in the BNA Act, 1867 ) to “direct taxation” – meaning taxes that are demanded from the very persons intended to pay them, unlike custom duties which are “indirect” taxes since they are passed off to the consumer – further limited the provinces’ ability to interfere with interprovincial trade. I go heartily for the union, because it will throw down the barriers of trade and give us control of a market of four millions of people (Hear, hear.) What one thing has contributed so much to the wondrous material progress of the United States as the free passage of their products from one state to another? What has tended so much to the rapid advance of all branches of their industry as the vast extent of their home market, creating an unlimited demand for all the commodities of daily use and stimulating the energy and ingenuity of producers? Sir, I confess to you that in my mind this one view of the union – the addition of nearly a million of people to our home consumers – sweeps aside all the petty objections that are averred against the scheme. But the proposal now before us is to throw down all barriers between the provinces – to make a citizen of one, citizen of the whole; the proposal is that our farmers and manufacturers and mechanics shall carry their wares unquestioned into every village of the Maritime provinces; and that they shall with equal freedom bring their fish and their coals and their West India produce to our three million inhabitants [Emphasis Added]. Brown’s talk of farmers, manufacturers and mechanics carrying their wares “unquestioned” across provincial boundaries is strikingly similar to s.121’s guarantee that all articles of “Growth, Produce and Manufacture” shall be “admitted free.” It bears emphasizing that Brown’s statement was made more than two years before the language that would become s.121 was drafted. He was not attempting to convince his fellow legislators that free trade should be incorporated into the Constitution; he was attempting to convince them to support the Quebec Resolutions – “the proposal now before us” – which, in his view, already embodied the free trade principle. 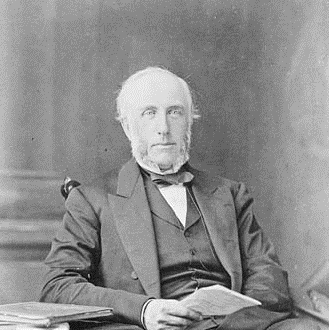 Brown’s optimism in the free trade benefits of Confederation must have been derived from the Resolutions themselves, and the only logical explanation is that he understood, as did the other Fathers, that it was the division of powers itself that would guarantee free trade. The enumeration of the exclusive federal trade and commerce power and the limitation of the provincial taxing power to “direct taxation” meant that the provinces – the likeliest candidates to impose protectionist measures – would be precluded from legislating in respect of interprovincial trade. It is also likely that s.121 was never meant to apply to Parliament, as Professor Lavoie argues. There is no indication in the Quebec Resolutions that the General Government’s power over interprovincial trade would be limited in any way. In fact, the opposite is true. The Quebec Resolutions had granted the General Government the power over trade and commerce, which would include the regulation of interprovincial trade. It had also granted the General Government the power to levy duties, (though this power was omitted from the eventual Act likely because the enumeration of the trade and commerce and broad federal taxation powers rendered it superfluous.) In addition, the Act incorporated the non obstante clause in the preamble to s.91, which states that the powers in s.91 apply “notwithstanding anything in this Act.” This would necessarily include s.121. Finally, it is a well established canon of construction that provisions should be interpreted harmoniously to avoid any operational conflict. Applying s.121 to Parliament would effectively gut Parliament’s authority to regulate interprovincial trade and commerce. Conversely, if s.121 were interpreted more narrowly, but still within the realm of plausibility, to mean that goods from one province shall be admitted free by the admitting province, the section would largely retain its robust meaning (since the provinces are far more likely to impose protectionist measures) while avoiding an operational conflict with s.91(2). Section 121 is not unlike the “deeming” provision in the closing paragraph to s.91, which states that any matter coming within s.91 shall not be deemed to come within s.92(16) (matters of a merely local or private nature). The deeming clause was only incorporated once the drafting process began in Britain, and the evidence indicates that it simply reinforced the exclusivity principle to ensure that the broad grant over matters of a merely private or local nature did not consume the specific grants of power in s.91 such as banking. It was inserted, as the Privy Council would later say, “from abundant caution.” Section 121 should be viewed in this same light. It does not put forth a new radical principle of free trade; it emphasizes that one of the underlying purposes of the division of powers itself is to guarantee a free trade union. Justice LeBlanc’s decision relies correctly on the ordinary meaning of “admitted free” at the time the Act was passed. The evidence is clear that the statesmen of the era understood the difference between admitted “free” and admitted “free from duty” – the former pertained to both tariff and non-tariff barriers. On the other hand, any analysis must be contextual and it is difficult to reconcile the robust interpretation of s.121 with its placement in the part of the Act titled “Revenues, Debts, Assets, and Taxation,” particularly since it is followed by two sections dealing with customs and duties. Justice LeBlanc did not find the placement of s.121 to be especially relevant, but the Supreme Court panel in Gold Seal most certainly did. Marrying the interpretations of ss.91(2) and 121 would reconcile these textual ambiguities. It would allow s.121 to retain its plain meaning, while rendering the placement issue more or less moot. If the purpose of s.121 were to impose unique and significant limitations upon legislative power, then surely it ought to have been included in ss. 91-95 of the Act, which deal with the “Distribution of Legislative Powers.” On the other hand, if s.121 is merely there to serve as emphasis, then its placement can be chalked up far more easily to a stylistic preference. The marriage of ss.121 with s.91(2) would also have the benefit of producing a stable and coherent legal doctrine. The Court would not need to invent something new; instead it would anchor s.121 to something old and established. In essence, it would subject to s.121 to the basic pith and substance approach, a doctrine that has survived the test of time and has long been the dominant approach to division of powers questions. And in limiting the application of s.121 to the provinces, the proposed construction would also avoid overruling decades of judicial affirmations that Parliament can regulate – and thus limit – the free flow of goods across provincial boundaries. Professor Lavoie notes that under a more expansive reading of s.121 there is great potential for uncertainty. This is a valid concern, but one that would be mitigated and even eliminated if s.121 were interpreted as reinforcing the traditionally exclusivist approach to s.91(2). The only potential for uncertainty lies in the application of the ancillary powers doctrine to provincial measures that regulate interprovincial trade. As discussed, the General Motors formula encourages subjectivity and inconsistent applications. The values of predictability and certainty would be well served by returning to the necessarily incidental doctrine, both in the context of s.121 and the division of powers as a whole. The marriage between ss.91(2) and 121 was made in Britain. It is unlikely that Frank Reilly, the man who drafted s.121, sought to include a provision that would substantially limit legislative power in the fourth draft of the bill that would become the BNA Act, 1867. 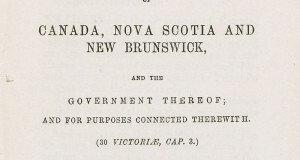 Whatever else can be said about the intent of Mr. Reilly and the other framers of the Act, it is clear that they did not want to stray too far from the scheme adopted at Quebec, which had subsequently been ratified by the Legislative Assembly of the United Province of Canada, and had been agreed to in principle by the legislatures of Nova Scotia and New Brunswick. That scheme included a division of powers that placed authority over trade and commerce exclusively in the hands of Parliament and therefore precluded the provinces from legislating in respect of interprovincial trade. Section 121 reinforces that division. It reaffirms that a province may not enact protectionist trade measures under the guise of legislating in respect of property and civil rights in the province. The New Brunswick legislature ran afoul of s.121 when it enacted ss.43 and 134(b) of the Liquor Control Act. But more fundamentally, in passing the law, it ran afoul of the province’s basic legislative jurisdiction. Lavoie, Malcolm, R. v. Comeau and Section 121 of the Constitution Act, 1867: Freeing the Beer and Fortifying the Economic Union (October 16, 2016). Dalhousie Law Journal, Forthcoming. Available at SSRN: https://ssrn.com/abstract=2840845. A.H.F. Lefroy, The Law of Legislative Power in Canada (Toronto: Toronto Law Book and Publishing Company, 1897), Propositions 32 & 34. Attorney-General for Manitoba v Manitoba Egg and Poultry Association,  SCR 689, at 703. Canadian Western Bank v Alberta,  2 SCR 3, at para 52. The deeming clause states as follows: “And any Matter coming within any of the Classes of Subjects enumerated in this Section shall not be deemed to come within the Class of Matters of a local or private Nature comprised in the Enumeration of the Classes of Subjects by this Act assigned exclusively to the Legislatures of the Provinces.” See The Constitution Act, 1867, 30 & 31 Vict, c 3, s.91. Lavoie, supra note 1 at 31. Ibid., at 31 FN 93. Reference re Assisted Human Reproduction Act,  3 SCR 457 , at paras 135-137 & 275. Comeau, supra note 4, at para 86. Gerald Peter Browne, Documents on the Confederation of British North America. (Toronto: McClelland and Stewart, 1969; McGill-Queen’s University Press, 2009) , at 273-275 & 289. Comeau, supra note 4, at paras 91-101. See Gérard V La Forest, The Allocation of Taxing Power under the Canadian Constitution, 2nd ed (Toronto: Canadian Tax Foundation, 1981) at 179-180. Janet Ajzenstat, Paul Romney, Ian Gentles & William D. Gairdner, eds., Canada’s Founding Debates (Toronto: Stoddart, 1999) , at 134-135. There is disagreement concerning whether the deeming provision applies to s.92(16) alone or all the enumerated subjects in s.92. The Privy Council adopted the latter approach, but W.F. O’Connor and G.P Browne were both of the view that it applied to s.92(16) alone. I am in agreement with them. See W.F. O’Connor, Report to the Senate Relating to the Enactment of the British North America Act (Ottawa: Queen’s Printer, 1939), and see Gerald Peter Browne, The Judicial Committee and the British North America Act (Toronto: University of Toronto Press, 1967). Reference re: Debt Adjustment Act, 1937 (Alb. ),  JCJ No 2 at para 3. (1921) 62 SCR 424 at 469-470.